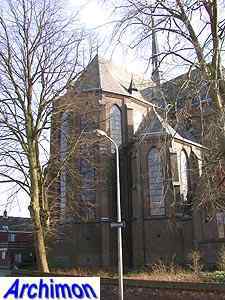 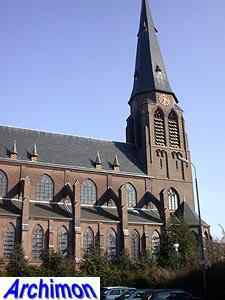 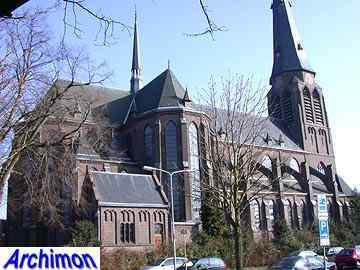 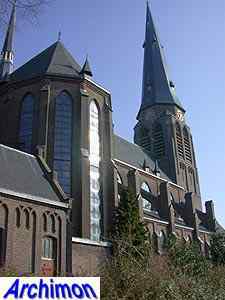 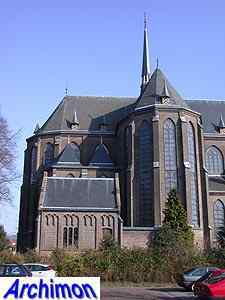 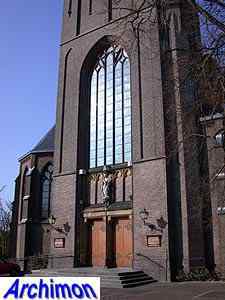 The St. Georgius is one of the first two churches designed and built by architect Wolter te Riele. 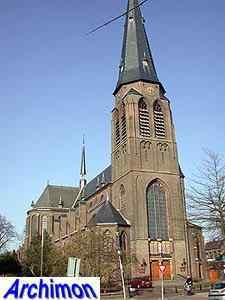 One of two, because the St. Lucas in Elden was built in the same period and it is unknown which of the two came first. 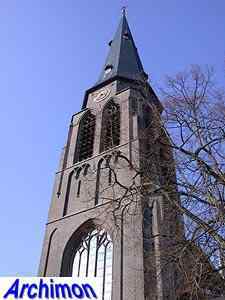 Because the church in Elden (G) was destroyed in 1944, the St. Georgius is definitely Te Riele's oldest. 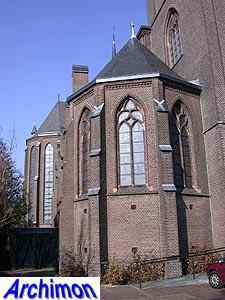 As one of his early works, it is a fairly conventional building in neo-Gothic style. 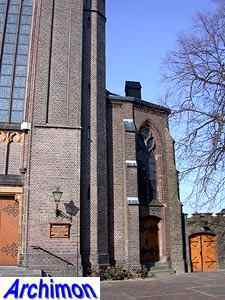 It is a cruciform basilica with polygonal transept-arms and a west tower which is flanked by polygonal chapels. 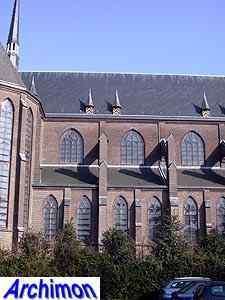 The choir is flanked by lateral chapels. 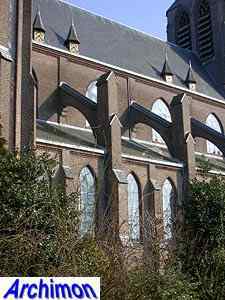 It is probably the only church by Te Riele that has flying buttresses. 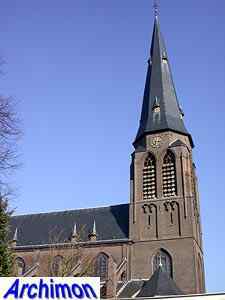 A feature that Te Riele often repeated in his later work is the way the tower ends in four truncated "turrets" at the corners, with an octagonal upper part in between.